OLD – Need A Miracle In Your Life? The following prayer is being used around the world, asking Father Al to intercede with God for the petitions of those who need a miracle. Almighty, ever-living God, giver of all good gifts, You have filled Msgr. Al with an ardent love for You and for souls. You have inspired him to dedicate his life to relieve the suffering of the orphans, abandoned, the sick and the poor, especially the youth, which he did with all humility and courage until the end of his life. May his holy life of love and service to the poor be recognized by the Church through his beatification and canonization. 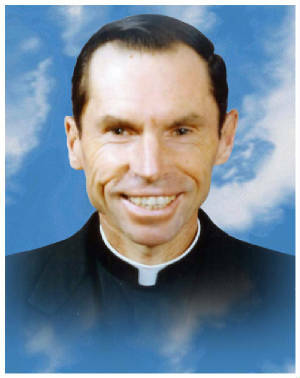 For your honor and glory, we pray that the life of Msgr. Al be an inspiration for us in striving for perfection in the love of God and service to others. I ask you to bestow upon me, through the intercession of Father Al: (Tell God, through Father Al, the favor that you request.) I ask this through our Lord, Jesus Christ, your Son, and the maternal aid of Mary, the Virgin of the Poor. Amen. The Sisters of Mary and the children in their Villages would be honored to remember your intentions in their daily prayers. and then click to forward your prayer request to the Sisters of Mary. Venerable Aloysius Schwartz is in progress.